Transfer to Himawari Hotel for two nights. 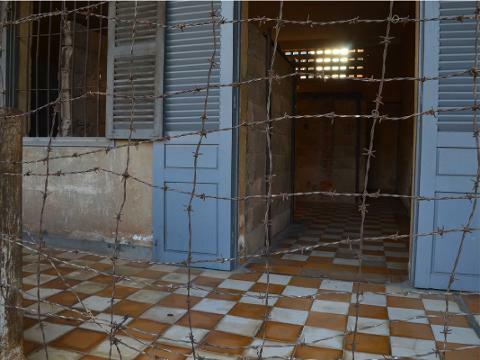 Today learn about the leadership of Pol Pot’s Khmer Rouge when you visit the infamous Tuol Sleng Museum and the Killing Fields. 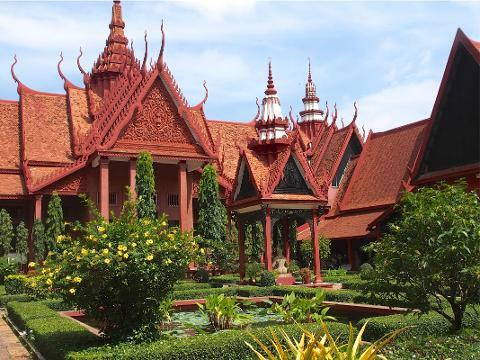 Then to the Royal Palace, although closed to visitors, the beautiful building and gardens are still visible. Also visit the National Museum. Fly to Siem Reap for three nights at the Lotus Blanc Resort. 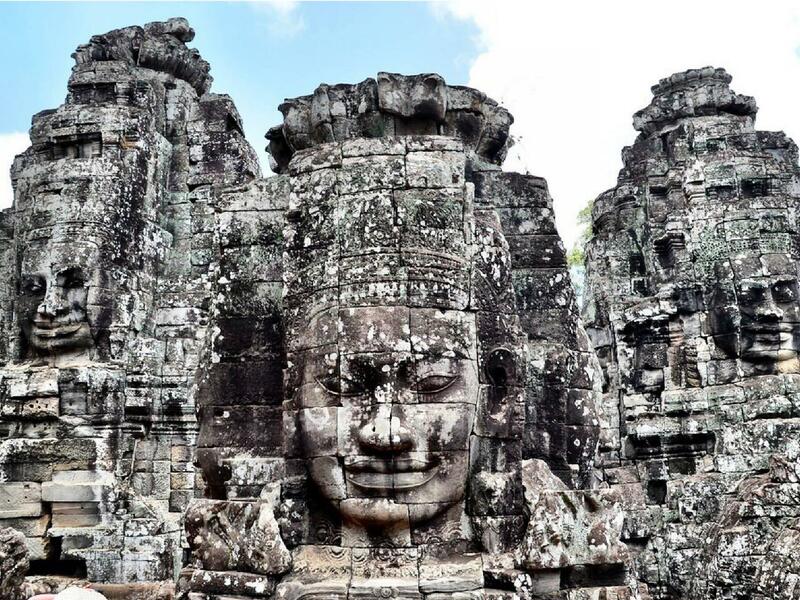 Visit the monumental magnificence of Angkor Thom – last capital city of the Khmers and home to the Elephant Terrace, the Terrace of the Leper King and the Bayon Temple. Enjoy a beautiful sunset from the Pre Rup temple. Early this morning visit the breathtaking Angkor Wat. 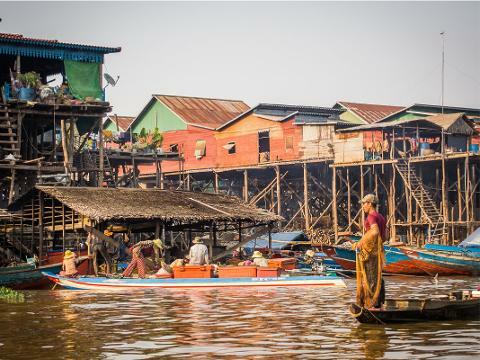 Afternoon visit Kampong Kleang, situated on the northern shore on the edge of Tonle Sap Lake. Board your boat and pass by submerged forests and fishing farms and discover the fishing villages that thrive at the edges of the lake. 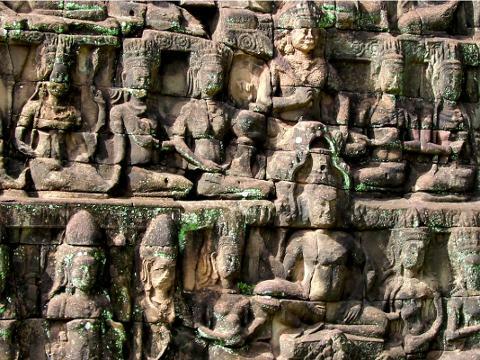 Another amazing day will be spent in Siem Reap visiting the temples of Banteay Srei and Banteay Samre, better known as ‘the citadel of women’. After lunch, visit Ta Prohm Temple, the Banteay Kdei Buddhist monastery and Srah Srang which is also known as the ‘pool of ablutions’. 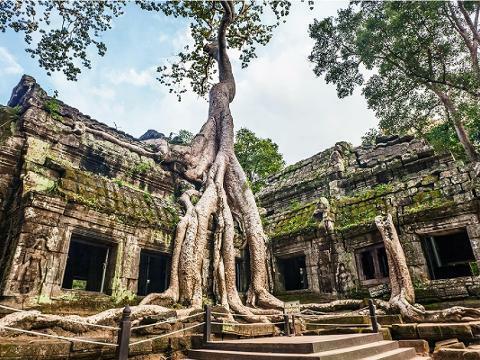 Continue to the most beautiful temples of the Grand Circuit, the Preah Khan Temple and Neak Pean.